The national Norwegian newspaper Dagsavisen recently smeared Fjordman on more than one occasion. They accused him of promoting an ideology of hatred, likened him to a Nazi, and published quotes attributed to him which in fact he never spoke or wrote. Fjordman then sent a response to the newspaper, which it refused to publish. He later published his response via Snaphanen. With the help of our Norwegian correspondent The Observer, Fjordman’s reply has been translated into English. Fjordman has also included an introduction to the unpublished piece. In December 2011, the journalists Nina Johnsrud and Tore Letvik from the national Norwegian newspaper Dagsavisen published an article in which I was accused of putting ideas about “breeding stations” into Breivik’s mind. I challenged them to find a single quote I have ever published about breeding stations. They obviously couldn’t find any, since this is a lie. The newspaper never published a correction or apology for this lie, however, for the simple reason that they are not dealing in honest journalism. This was a smear campaign of character assassination against my person, since the political Left in particular has declared me to be Public Enemy Number Two, second only to Anders Behring Breivik. They don’t look at the ball; they just want to take the man. In a strange way, I take this as a compliment. My critics are utterly incapable of defeating any of my main arguments, and they know it, so they don’t even try. The same newspaper directly compared me to Heinrich Himmler and the SS. I’ve been compared to Nazi leaders several times in the mainstream press. He oversaw all police and security forces, including the Gestapo — the Secret State Police — and the SS, Adolf Hitler’s elite bodyguard. He was personally responsible for organizing the genocide of millions of people, partially through the use of gas chambers, and for creating a totalitarian system of brutal state suppression. Dagsavisen claims that I promote “the same” policies today. Dagsavisen has intimate historical and ideological bonds to the Labor Party. Today it is no longer explicitly Labor’s propaganda outlet, as it once was, but it would be fair to say that the newspaper’s views still closely mirror those of the Social Democrats and the labor unions. Its editor-in-chief Arne Strand has long been associated with the Labor Party, and represented the government of former Labor Prime Minister Gro Harlem Brundtland. It is tempting to see this article as a deliberate hit-piece against my person, one that will probably be applauded by the ruling parties. Dagsavisen’s other chief editor, Kaia Storvik, used to be an active Communist and a member of the Red Youth, the revolutionary youth league. She is now known for lamenting how hard it is to get people convicted in court for saying racist things, especially since her country and the Western world are swarming with white racists. Dagsavisen received over 40 million kroner in state subsidies in 2011 alone, more than any other newspaper in the country. The newspaper has been on life support for years, and would most likely go bankrupt without this continuous blood transfusion that is forcibly sponsored by Norwegian taxpayers of all political colors. The far-Leftist newspaper Klassekampen (“The Class Struggle”) also receives tens of millions every single year in press support. This press support is supposed to ensure “diversity” in the mass media, but in reality it supports a diversity of left-wing views. There are practically no conservative media outlets in Norway. It is well-documented — and grudgingly admitted by the press themselves — that journalists in Norway as well as in neighboring Sweden and Denmark are considerably more left-leaning in their ideological views and political sympathies than is true of the general population. In fact, judged by the data I have seen, this strong left-wing media bias exists throughout most of the Western world, not just in the Scandinavian or Nordic countries. If this allegation is correct, this represents a major systemic problem for Western societies. The mass media are the eyes and ears of modern societies. If they do not function properly, citizens will find it very hard to maneuver rationally and deal in a sensible manner with the challenges they face. This can be compared to being confronted by a hungry polar bear, whereas your eyes and ears keep telling you that this is actually a cozy teddy bear who just craves a little love and understanding. Militant Islamic organizations and other hostile outsiders keep bragging about how they are going to colonize and conquer Western countries. They must be amazed by the near-total lack of resistance they face. One of the main reasons for this is that a heavily biased press of Globalists and Multiculturalists, who daily feed the masses a deeply distorted image of reality, where problems are the result of white racism and xenophobia. Hilde Haugsgjerd is now chief editor of the newspaper Aftenposten, which used to be considered a conservative paper. She warns against a “hate ideology” that is hostile to Islam. Haugsgjerd is the former party leader of the revolutionary Marxist-Leninist Red Electoral Alliance, and was once married to married to the Communist activist Sigurd Allern. He was for many years editor-in-chief of the radical newspaper Klassekampen, whose editors and writers were enthusiastic apologists for brutal Marxist regimes. Allern later became professor of journalism at the University of Oslo, where he can shape the minds of young and aspiring future journalists. Jens Stoltenberg’s Labor-led government spends one billion kroner annually on often expensive professional communications advisers. This is a substantial sum for such a small country, especially considering that the Labor Party already receives largely favorable press coverage from many journalists, including the state broadcaster NRK. In a debate published at the website of the newspaper Dagsavisen, commenter Ben Økland called me virtually every bad name in the book. He represents the Norwegian Greens, where writer Øyvind Strømmen is also a leading member. Økland terms people such as myself a “plague epidemic” of mentally deranged people and psychiatric cases who spread “poison” and “pollute society”, with our hateful paranoia acting like toxic waste. An honorary member of the Greens in Norway is Johan Galtung, a founder of so-called “peace and conflict studies”. He is well-known for his sometimes highly controversial statements, and has been accused of acting as an apologist for brutal and repressive Communist regimes during the Cold War. Galtung looks forward to the possibility that all of Europe could become Islamic. This can bring many positive things to the continent and dilute that pesky individualism, of which there is still too much there, or so he thinks. Yet in his view it is crucial that native Europeans quietly accept this inevitable tide of history and do not attempt to resist the Muslim takeover of their continent in any way, as this could trigger Islamic radicalization. These comments about an easily recognizable individual citizen — me — were published under an essay written by the journalist Halvor Finess Tretvoll. I pointed out that Dagsavisen is operating dangerously close to a libel suit. By email he responded that they believe in free speech. Free speech is good. Since I have controversial opinions myself, I respect that principle very much. However, Tretvoll refused to publish my reply, although he admitted that I had stayed within the normal limits for such a reply, and couldn’t find any factual errors in what I wrote. The problem is that I had dared to utter some critical comments about leading Labor Party figures. So, free speech to Dagsavisen means that they can publish accusations that I inspire mass murder, that I am just like Nazi criminals who were responsible for organizing genocide, and that I represent a plague epidemic of delusional people whose paranoia is like toxic waste to society. Yet they refuse to publish a short reply by me. When I contacted them for a reply, Dagsavisen at first wanted to interview me. I said no. One does not reward a newspaper for writing crap about oneself by giving them an interview in return. Anders Behring Breivik’s defense lawyer Geir Lippestad earlier singled out the dissident writer Hans Rustad and me as morally “responsible” for ABB’s mass murder of 77 people. The newspapers VG and Dagbladet in particular went a long way towards legitimizing this claim. VG still had the nerve to ask me for an interview immediately afterwards. I told them to get stuffed. VG then proceeded to publish an article based on my confidential police statement, in which they used lies and distortions to present me as having egged Breivik on by email while he was preparing his terror attacks. I told them in no uncertain terms that I have no interest in making money for them by being urinated upon in public, and then granting them an interview explaining to the general public how it’s like to be urinated upon in public. The same principle applies to Dagsavisen: I exercised my right to reply, but in writing only. I am a writer. They reluctantly agreed to this. Since the original article was a long attack on my character, I wanted a long essay in return. I reluctantly agreed to write a shorter text as a start. This was then rejected. When a newspaper compares me to the SS and Heinrich Himmler, who organized one of the worst genocides in modern world history, and also publishes comments comparing me to a plague epidemic and toxic waste, they are obliged to present strong arguments justifying their decision not to publish a brief explanation of why I write what I write. Since they never provided me with a satisfactory explanation, I therefore am publishing my suggested reply below in English translation. The original Norwegian text was published at the blog Snaphanen. On Dec. 7, 2011, Dagsavisen published an article about me containing nasty accusations and blatant lies. It’s a severe transgression to claim that I espouse “the same views” as the SS and Heinrich Himmler, the people who were responsible for the Holocaust, which claimed the lives of millions of Jews. The fact that they feel compelled to fabricate lies in order to defame me is clear proof that they cannot win with arguments. It is tempting to see this article as part of an organized campaign to get rid of troublesome dissidents who are critical of Multiculturalism, Islam and mass immigration. The political establishment loves dissidents, but only if they live far away in places like Burma or Tibet. It’s a very different story if they come from their own country. The Party Secretary of the Norwegian Labour Party, Raymond Johansen, is technically speaking my former boss. I worked in the Middle East in 2002 and 2003. In reality, I represented the Ministry of Foreign Affairs, but formally I was employed by the Norwegian Refugee Council (NRC), which at the time was led by Johansen. Some people probably wonder why I didn’t continue this career and by so doing earn good money in a nice, respectable job. The answer is that I made a deliberate choice that this was something I just couldn’t live with. It’s impossible for me to be part of the asylum-industrial complex, which undermines the future of my own country. This goes against my conscience. This became particularly difficult after the NRC publicly condemned the publishing of the Danish Muhammed cartoons. This can hardly be interpreted as anything other than a submission to Islam — which actually means “submission.” I simply cannot be a part of something like that. Many minors now experience regular harassment in our schools and kindergartens simply because they happen to belong to the country’s native ethnic population, who are gradually being displaced from their homeland as a result of the current immigration policies. It is sheer hypocrisy when Jonas Gahr Støre and other members of the Norwegian peace industry turn their backs on children whose childhoods are ruined as a result of violence and harassment from immigrant gangs. We should ensure that we have a safe environment for our own kids before we start lecturing the rest of the world on how they should behave. Fjordman is absolutely brilliant. Thanks for posting this! I take it that this shorter response was up against a hard limit for length, it seems to have been cut off in the middle of a developing argument. And yet the state sponsored organs of propaganda cannot tolerate even this much exposure. Given the latest news of developments in Europe and globally, I feel a certain weight of discouragement with the prospects of achieving meaningful restoration of the sovereignty of the peoples of Europe through existing political channels. Of course, pushing the Counter-Jihad and related anti-totalitarian groups out of the political discourse is exactly what the ruling elites are attempting to do, though I believe that they have made a fundamental miscalculation as to the inevitable outcome of thus marginalizing those who provide the practical basis for national survival. The indigenous free peoples of Europe, man for man, are more than a match for the forces of Islam, and they know this of themselves. The spirit of revolution that is building can only be released peacefully if those currently in power are willing to allow free speech, free elections, and full legal accountability of government officials for their actions. Otherwise, the spirit of revolution shall respond to the violence of the state as the fundamental principles of justice demand. Begin storing food and necessary supplies, even if it is illegal...especially if it is illegal, for laws against ensuring one's ability to survive must be challenged. Continue to speak and write in defense of the essential values of civilization, even if it is illegal...especially if it is illegal, for laws against conscientious support of civilization must be challenged. And between doing what is necessary to ensure your own survival, and what is necessary to ensure the survival of your civilization, consider and prepare the means to protect both at the same time. It may yet be that those who have heretofore unthinkingly supported treason in high office will awaken to their duty in time to limit the destruction of Europe. But if not so, then the free people of the West will have to be ready to write a new chapter in their history. May God bless Fjordman and keep him strong. May God help the beautiful country of Norway regain their freedom from traitors and savages. History will remember Fjordman for the brave, intelligent patriot that he is, and the Left wing political elites of Norway - and the rest of the world, for that matter - as the evil traitors that they are. cliche of the frog in the kettle. heat and Norway is the frog. But don't you know, Muslims are oppressed, and Whites are oppressors?! The more I read Fjordman's responses to such evil lies, the more I think David vs. Goliath. I hope and pray that many Norwegians are coming out of their fantasies and political stupor and reading him afresh. With the horrors coming out of Denmark and the news that the Seals rescued Danish hostages in Somalia, I wonder how much longer the press can continue in its vacuum without imploding completely. socialism and socialists are evil. Until they recognise this, nothing will change. I'm not sure that socialists are inherently evil, though that's a possibility, but they are collectively in denial about the adverse effect their beliefs have on a society. Our educations systems need to tell our children about the effects of socialism on the health of a nation. Until this happens then we will continue to pour more socialists from our schools and universities to destroy our civilisation. And the Scandinavian countries are, in my opinion, a great disappointment; or have they been lying to us about their civilised societies for the past 50 years or so? How orchestrated is it that Norwegian Crown Prince is praising Bill Gates on the same day that Obama does? The Crown Prince Haakon and wife Mette-Marit are in Davos, "meeting young leaders and praising Bill Gates", Aftenposten reports. Mette-Marit met young leaders from all over the world, of 20-30 years of age in Davos. - It was incredibly exiting to hear their perspectives on the world's status today. And I had the opportunity to give them advice on how they can use the World Economic Forum to advance their projects, Mette-Marit says to Aftenposten. "Why are Kronprinsparet in Davos ? Why are Norway wasting tax payer funds sending 2 unelected, unskilled and unappointed representatives to this conference ? Next time, at least send someone that can actually contribute." I have read a few of your recent comments, and your thoughts are definitely interesting. I wanted to post this on your blog, but don't have access. Eagerly looking forward to reading more of your posts, and inviting others to pay attention to what you are saying. Fjordman is trying to make himself interesting. Almost no one in Norway remembers him any longer. He had his week of fame last summer, but now he is forgotten about, except from a few journalists, his old neighbours and a few friends. Well, YOU'RE writing an email about him, aren't YOU now? 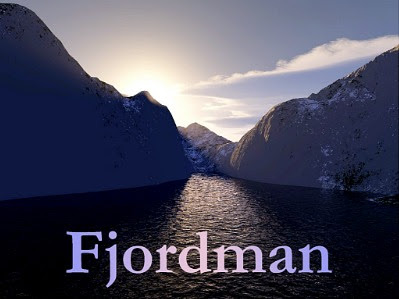 So I guess that you care enough to type a few words about Fjordman. Certainly, the Norwegian powers that be would LIKE for people to forget about Fjordman and his controversial views that threaten the status quo. Breivik: Al Qaeda’s Man in Oslo? When is a Swede Not a Swede? Latin American Jihad in Norway? Happy Multicultural Year, New Norway!